Ever since Mr. LH hit 40, I've had a difficult time remembering exactly what age he is without having to do the math. Sometimes I even have to do that to remember my own age...so for the last several years, he's been "forty-something". I don't think he minds that I don't always remember exactly how old young he is. 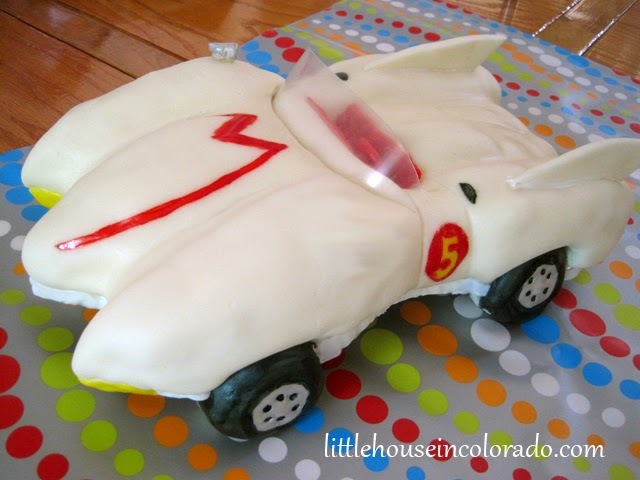 I decided to take that youthfulness and make it into a cake...one from his decades old favorite cartoon, Speed Racer. 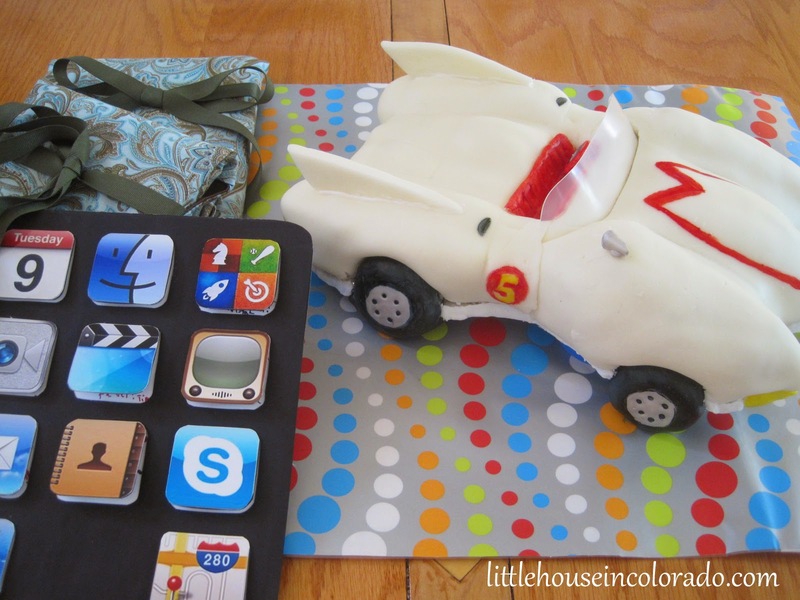 Where on earth would you stick a candle in this cake? 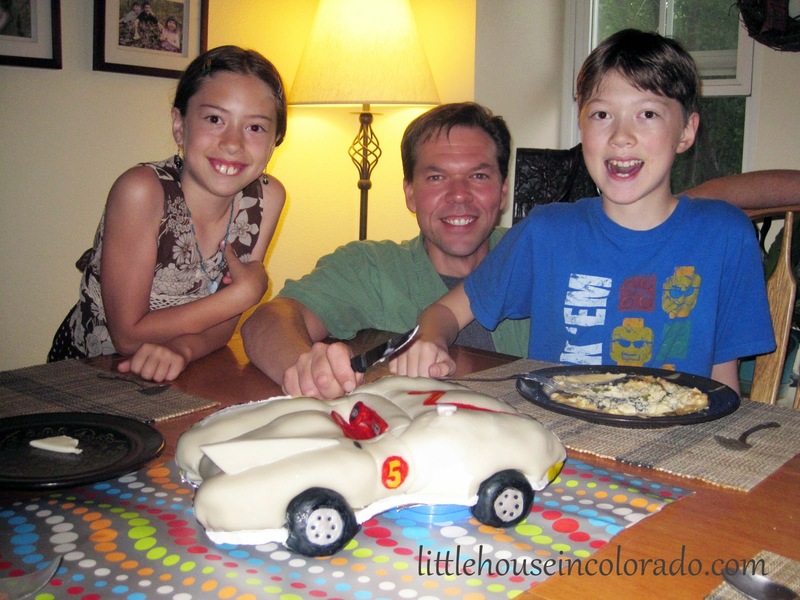 I found a tutorial for the cake on Instructables.com and knew it would be Mr. LH's birthday cake...though it wound up being the most challenging cake I've made to date. 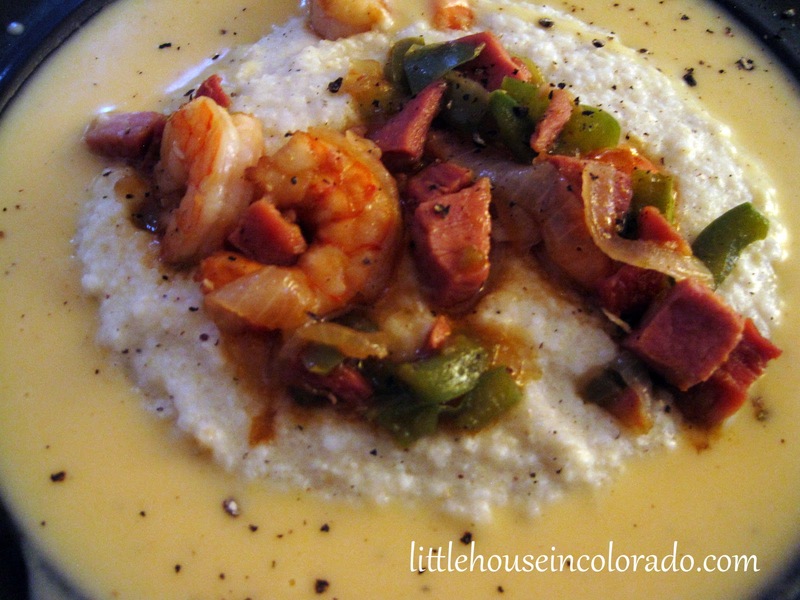 We also made Shrimp & Grits for his birthday dinner since he's been asking repeatedly for me to make it again. Add to it the iDad card we made for him and a few carefully selected gifts and we were all ready to celebrate!